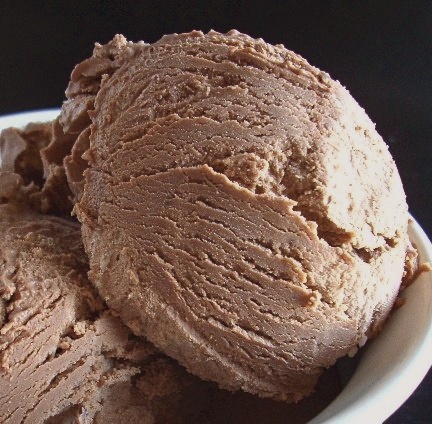 Easy Cofee Icream Recipe. Mix the ingredients together and just leave it in a wide tupperware dish in the freezer until frozen, without the extra beating and it will be fine. This ice cream is one of my favorites. It has a smooth texture and you can vary the intensity of the flavor by how strong you make the coffee. Personally, I like it strong and will make the coffee by mixing 1 cup of a good quality, freshly ground coffee with 1 cup of hot water and letting it steep for a few minutes. Then I strain out the coffee grounds with cheese cloth or a coffee filter. Mix the ingredients together in the order listed above and stir well. Freeze in a refrigerator tray until mushy or about 1 short hour. Scrape bottom and sides, and beat mixture until smooth. Return to refrigerator and freeze until firm, about 3 hours. i did it! tx for sharing. i manage to add some chips for the toppings!